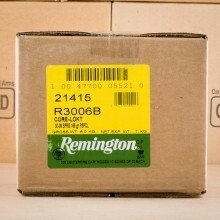 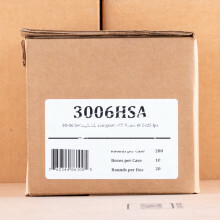 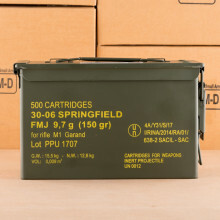 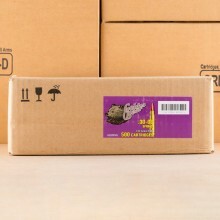 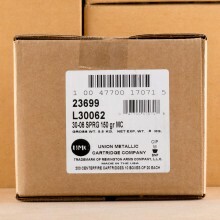 30-06 Ammo Cases Ship Free at AmmoMan.com! 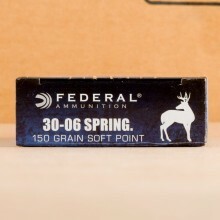 The United States Army first used 30-06 ammunition in 1906. 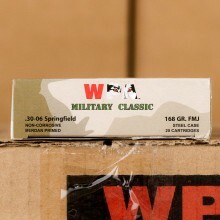 The 30-06 cartridge was widely adopted by militaries across the world until the 1970's. 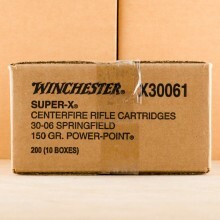 Today, hunters are the primary 30-06 shooters in the world as the cartridge is extremely versatile and in generally good supply. 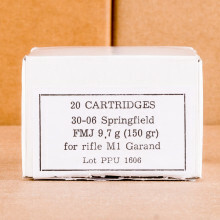 .30-06 Springfield ammo was designed for use by long-range shooters in the military. 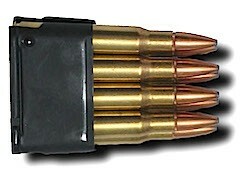 The original round was capped with a 150 grain flat-base jacketed bullet that was replaced soon thereafter with a boat-tail bullet allowing for better stability at long distances. 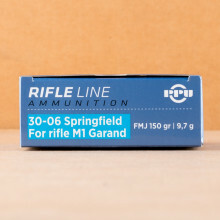 Shooters these days still enjoy 30-06 for use in their M1 Garand rifles because of the round’s relatively light recoil. 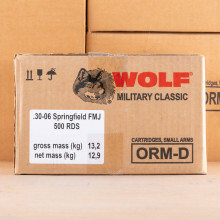 The .30-06 rounds of today come in a wide variety of bullet weights, ranging from about 110 grain to 220 grain with some sabot rounds even lighter. 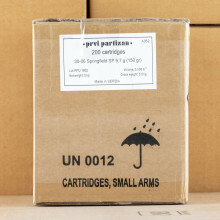 These standard projectiles offer shooters good muzzle velocities in the area of 2,400 feet per second for the heavier rounds to about 3,500 feet per second for the lightest 110 grain bullets. 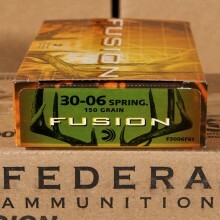 These rounds are incredibly powerful, offering riflemen muzzle energy that is typically just shy of the 3,000 foot-pound mark. 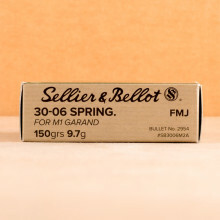 For range use, you’ll likely want to rely upon a full metal jacket (FMJ) bullet. 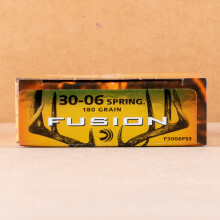 For hunting, you should seek out more specialized projectiles with soft tips or expanding bullets, like Hornady’s SST or Remington Core-Lokt. 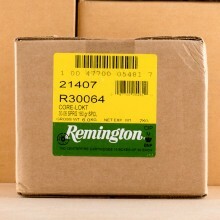 We work hard to maintain strong relationships with the best 30-06 manufacturers on the market today. 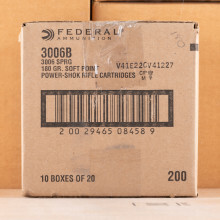 That means Federal, Hornady and Prvi Partizan rounds in-stock and available to ship fast. 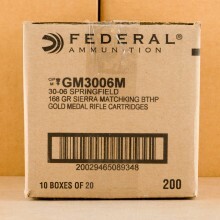 Also, look for great deals on surplus ammunition, often purchased from governments around the world. 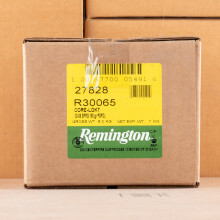 These rounds can offer the cheapest deal per round on ammunition while still offering a quality plinking experience for you at the range.